Thermal insula fabric, this material will keep you very warm in cold conditions. 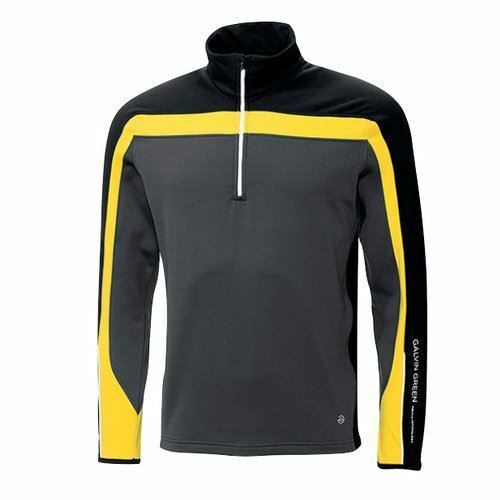 Galvin Green Danny is a great top at an affordable price. Smart half-zip newcomer in INSULA fabric which combines exceptional breathability with thermal regulation to produce the ideal pullover for golf played in cooler conditions. WE ARE ONLY ABLE TO SHIP GALVIN GREEN PRODUCTS WITHIN THE EU. ORDERS FROM OUTSIDE THIS REGION CANNOT BE PROCESSED. Chest Size 37" 39.5" 42" 44" 46.5" 49" 51"